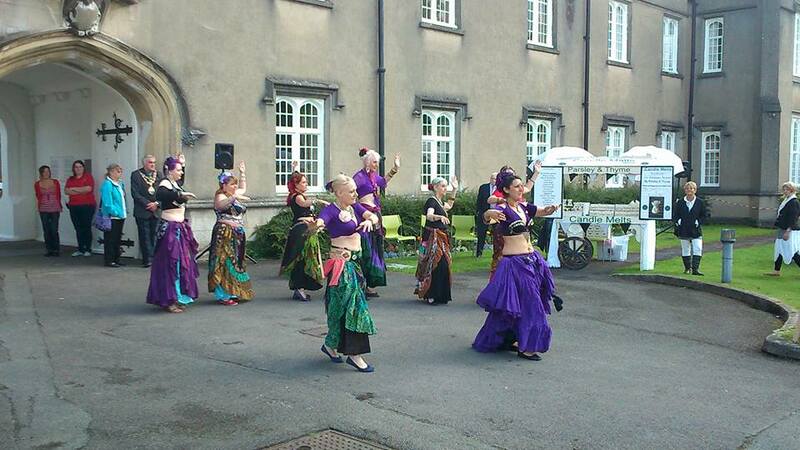 Into our second week of juicing and, after the busy and exciting Saturday I had, dancing with Tribal Unity at the Lampeter Food Festival, I’m loving it and really feeling the benefits. The juice recipes in the book to go with the video ‘Fat sick and nearly dead’ are useful and inspiring. Set out for each season, to encourage use of seasonal and local produce, we’ve tried a number of the ‘summer’ recipes. The food recipes, however, are not to our taste. 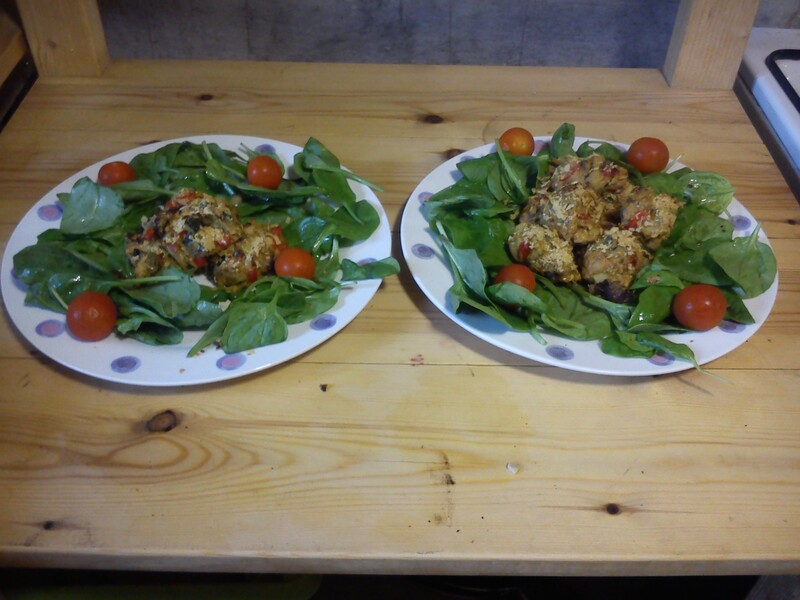 These are the quinoa and bean burgers, using the pulp from juicing, coated in nutritional yeast, served on spinach with tomatoes. This was not a successful dinner as spinach was disappointingly tough and burgers inedible. The recipes feel like someone has put together a group of ingredients that are ‘good for you’ rather than any tasting having gone on with the creation of the dish. Cumin powder stirred into a mix and then the whole baked in the oven is really unpleasant and left a hot feeling in my chest all evening. So…..we resorted to our own food. 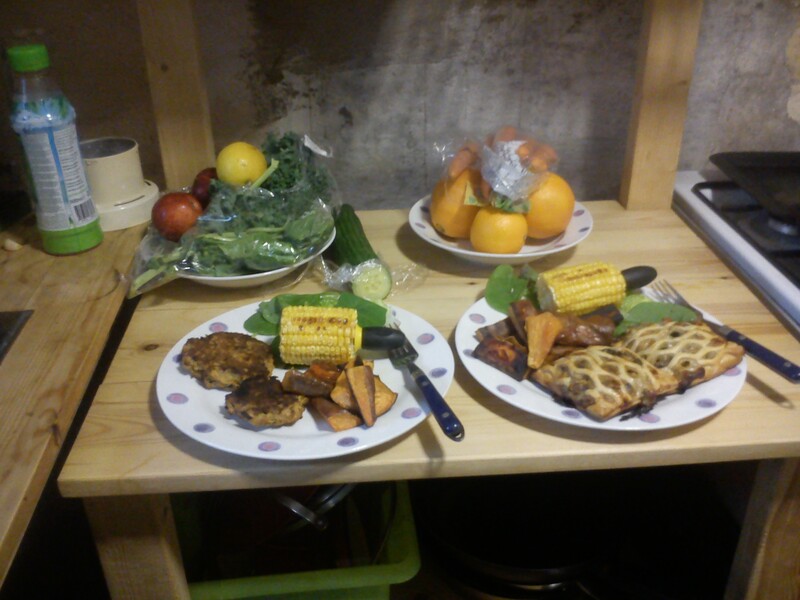 My plate on the left shows home made vege burgers while Mike has goat’s cheese and spinach lattice, served with sweet potato, peppers, sweetcorn and spinach. We’ve continued to eat our own food but changed the proportions on the plate. At least half has to be vegetable and less than a quarter each of protein and carbs. We are drinking a green juice and a fruit juice each day, sometimes adding one more and eating our usual veggie diet. I’m still not eating dairy and I do feel better for it. Here are our three favourite recipes, from the book, online and from my dance teacher, Deana. I’ve been leaving out the mango most days as have only managed to ripen one before it went mouldy, in two weeks! Passion fruit are quite expensive so some days, I’ve been adding a peeled lemon instead. This recipe is supposed to have a small turnip in as well but doesn’t need it. I think two or three juices a day, with a vegetarian diet, upping the amount of vegetables and cutting back on protein and carbs, is a good balanced diet for me. I feel satisfied after my meals and have plenty of energy for physical work on the house and dancing and my mind feels clearer and more focussed when I’m writing.